Although stainless steel is resistant to rust and corrosion, it still needs regular cleaning to keep it in great condition! Here are a few tips on how to care for your stainless steel sink and keep it looking brand new. First of all, do NOT use rubber coated mats to “protect” the bottom of the sink, as discoloration of the sink may occur after prolonged use. Similarly, any wet sponges or cleaning materials left on the sink for long periods of time could stain the sink surface. Instead, if you must have a protective barrier, purchase a metal grid that can be cleaned and removed from your sink regularly. Always dry your sink after use. Dissolved minerals and salts in your water leave deposits on your sink when the water evaporates. You will have water-spots on your sink just like your car has after rain. If you have spots that have been on your sink for a long time, use a little vinegar to wipe them clean. Then try to get in the habit of wiping your sink down when you are done using it. When using chemicals for cleaning, avoid bleach or products containing bleach. It can corrode stainless steel sinks. Also avoid Muriatic acid (used to clean grout) or plumbing PVC solvents. If any of these chemicals get on your stainless steel sink, rinse it thoroughly, then dry. If there are any stains that you cannot remove with water and vinegar, Bar Keepers Friend is a great cleaner to have on hand. Be sure to clean in the same direction as the grain lines of the finish so the sink doesn’t appear to have scratches. Rinse well and dry for a happy sink! 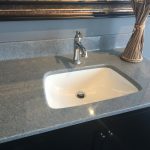 If you are in need of an upgraded sink – whether it is stainless or another material – come to Handy Man and our helpful staff will point out things that make a sink great! After a long workout, the best thing you can do for yourself is to wash it off in a relaxing shower. Some modifications to your existing shower can make a world of difference. 1. The easiest improvement is to install a 2-in-1 hand shower. These hand showers function as both showerheads and hand-held shower wands. Best of all, these affordable add-ons can be installed in just a few minutes and can be used to massage sore muscles, as well as rinse children and wash pets. 2. If you are looking for a more permanent muscle-massaging solution, installing body-jets is a life-changer. 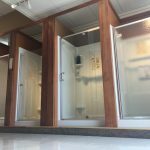 You will need a multi-function shower to achieve this, but you can also add a rain head, standard showerhead, and body-jets for a complete shower experience. 3. Another great addition to a multi-function shower is the U by Moen smart shower. You are able to set different temperatures and functions for multiple users or times of day. For example, you can set your morning shower to be 104• with the standard showerhead and set your post-workout shower to be 98• with body jets. This way, you get a perfect shower every time. 4. 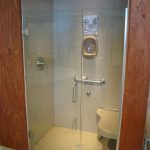 For the ultimate upgrade, consider creating a luxurious steam shower in your home. Many studies have been done to prove the benefits of steam showers after workouts. Steam showers are great for circulation, stress, skin care, and overall exercise recovery. The steam opens pores and improves circulation by widening your blood vessels, making it the ultimate recovery tool. 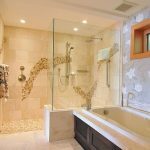 When you are looking to update your bathroom, you tend to think of the big remodeling projects you might need to do, like a new shower or vanity. Instead, think of replacing your bathroom mirror. The right mirror can completely transform the look of the space and bring your drab bathroom back to life. It is important to measure your vanity counter before shopping for a mirror. The mirror should not be wider than the vanity, but it can be smaller. By coordinating the mirror to the width of your vanity you will create a balanced look in your bathroom. If you cannot find the exact size for your bathroom, choose one that is 70-80% smaller than your vanity so it is still large enough to be functional, but creates enough contrast to make it look purposefully done. Width isn’t the only measurement you need to consider – also measure the height between the light fixture and the top of the vanity. If you need to replace your dated light fixtures, now is the time. When hanging a mirror, be sure to consider every user. The best way to hang it is to give 12-inches of space above and below the eye level of all users. 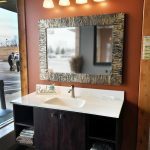 Double-bowl or extra-wide vanities are a popular trend in bathrooms and provide a few different mirror-style opportunites. You can either hang one large mirror that will cover the width of the entire vanity or hang multiple pieces, emphasizing the walls and shape of the room. When you hang one large mirror, it will reflect more light and make the room feel larger. This is a personal preference, but also can be important when designing ambiance for different spaces. For example, a powder room might benefit from soft lighting and a smaller mirror whereas a master bathroom that gets used for makeup might benefit from a larger feel. When using smaller mirrors or multiple mirrors, make sure you leave room for sconces on the sides. Many people prefer this type of lighting due to it giving off softer lighting and less harsh shadows. Take it into consideration when measuring the size of the mirror and vanity so they don’t feel crowded. Frameless mirrors are common in bathrooms because they are easy to clean, are less expensive, and give bathrooms a modern look. Framed mirrors, on the other hand, can become statement pieces. They often help tie together a traditional style, but many can have modern frames as well. A simple frame in a solid color with limited texture will work in any space if you are feeling overwhelmed with options. Rounded mirrors soften spaces and look excellent above pedestal sinks. If you have a unique wall color or feature wallpaper, more of it will be visible with the rounded edges of your mirror. If your bathroom is short on storage space, you may want to forego a mirror and opt for a medicine cabinet. The practicality cannot be beat. Medicine cabinets come in many different styles and can bring either a modern or classic look to your bathroom. If you’re really looking for a unique piece, look into replacing your standard mirror with a lighted mirror. They provide excellent lighting and are incredibly stylish. Lighted mirrors are a stunning statement piece for any bathroom. They come with a higher price tag, but you can forget about buying the extra bar lights! 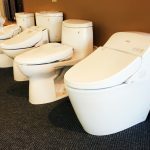 Since the water flows down the sewer, leaking toilets don’t necessarily leave any signs of a leak, until you get the bill. The average leaky toilet can waste 200 gallons of water per day. 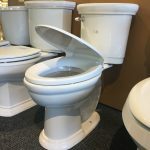 That’s over 6,000 gallons a month for just ONE leaking toilet! 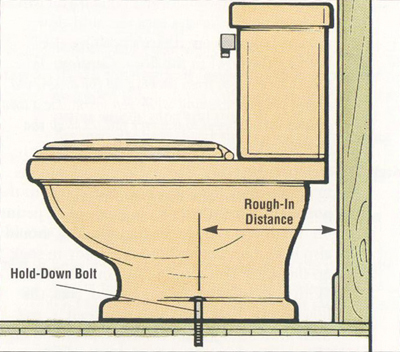 Check your toilet for leaks by following these easy steps. Check back and see if any of the food coloring has seeped into the bowl. If so, you have a leak. 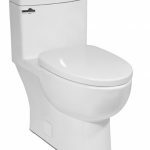 The most common cause of a leaking toilet tank is when the flapper fails to seal properly and form a tight seal. This lets water leak from the tank into the bowl. Leaks may also be caused by the flapper being out of position. How do I clean my flapper seal? Turn off the water at the shutoff valve, flush the toilet and hold down the handle. There may be a little water left in the bottom of the tank, but don’t worry about it. Wipe the flapper seal with a clean cloth to make sure it is free of debris, and check it for cracks or splits. If the flapper is damaged, pick up a new one (they are inexpensive). 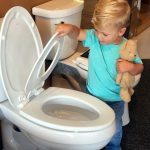 What causes toilets to run intermittently? A toilet that runs on and off by itself has a problem that plumbers call a “phantom flush”. The cause is a very slow leak from the tank into the bowl. This problem is almost certainly caused by a bad flapper or flapper seal. You can try the above information to fix the problem, but if it continues to occur, please call your local plumber to fix it for you. It is your responsibility to monitor your water use! More and more people are building their homes and remodeling existing homes following guidelines from the American Disabilities Act (ADA). While you might not have someone in your family with a disability, you might consider future uses of your space, or that of an elder who might need some basic modifications to help keep them in their home. The bathroom is the room in the house that can present some of the biggest challenges. 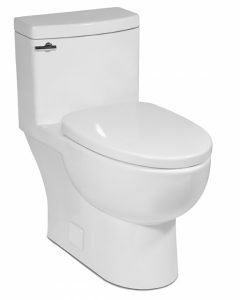 From washlet bidet toilet seats to safety handrails, there are many options to make a bathroom more accessible. Here are some things to consider whether you’re building a new home or modifying an existing one. You might also be looking to help a parent who wishes to stay in their own home, but needs some basic modifications for safety and convenience. 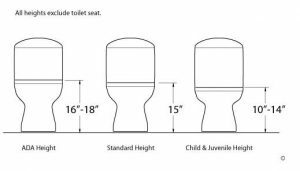 Consider comfort height toilets to avoid having to bend knees too far. A grab bar and toilet paper holder-in-one can provide great convenience. It can be mounted at any height you’d like. 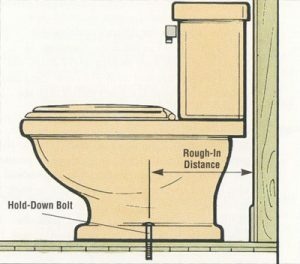 You can also install a safety hand bar that comes down on either side of the toilet for support. 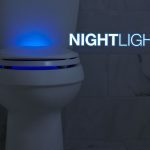 It’s simply mounted on the wall behind the toilet, providing stability and support while on the toilet. When it comes to the shower, consider installing a bench or seat for stability. Also look at the curb of the shower. There are many options available. You might consider a low profile curb to avoid a tripping hazard, making it much easier to get in and out of the shower safely. If you prefer a bathtub, but have difficulty climbing in and out, consider a walk-in bathtub with a door for access. This option makes it much easier to get in and out of the bath. 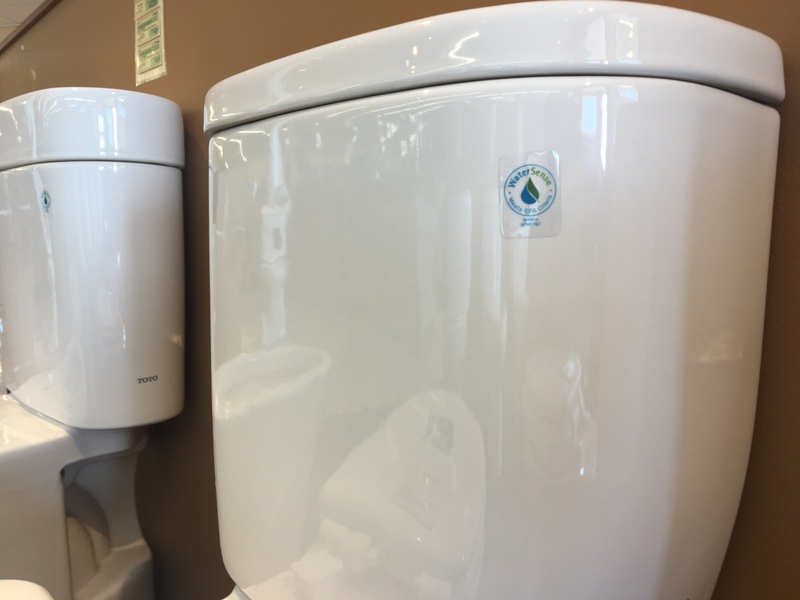 These tub systems come with a special valve to allow for a faster fill-up time and a larger drain allowing the water to drain quickly when you are finished. Whether you’re looking to add modifications for your own convenience, or someone else, be sure to consult with an expert to find out what options will work best and follow ADA guidelines. From simple fixes to complete remodels, there are many modifications that can make all the difference when it comes to safety for your loved ones in one of the most used spaces of your home. When it comes to building or remodeling your home, did you know there are ways to make your home accommodating for all ages? Universal design provides an accessible space regardless of abilities or disabilities and it will suit your family and guests for many years to come. Consider a low threshold shower. Easy access into the shower will work well for a child and an adult, or even a visiting grandparent using a walker or cane. 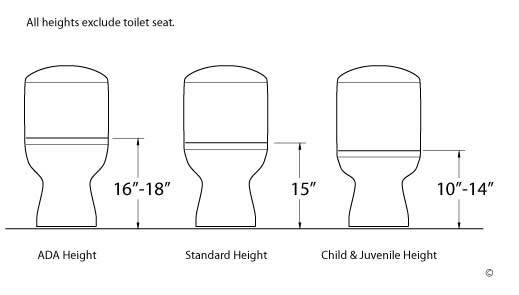 Comfort-height toilets are becoming common in bathroom designs. The extra inch or two make them accommodating for all ages and abilities. Grab bars are a basic safety tool for kids and adults. 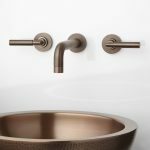 There are many options to choose from to match your bathroom décor. 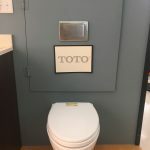 They’ll provide years of safety at the entrance of tubs, showers and near the toilet. 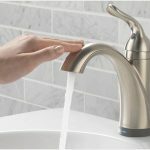 Touchless faucets are becoming the latest trend in kitchen design. They’re ideal for those with strength and hand control issues. They also work well when it comes to eliminating germs with little ones. Apron sinks aren’t just stylish, but they considerably reduce back pain while washing dishes. Removing the few inches of countertop between your body and the sink makes it more ergonomic for both young and old users. Accessing those lower cabinet shelves can also be a challenge. Consider adding sliding shelves on the bottom and middle of cabinets to gain better access. Look at your door handles. Did you know lever door handles are better for people with hand strength issues? They also work great when your hands are full and you need to open the door. Just like your shower, you might consider looking at no threshold entries. These types of entryways are great to accommodate elderly guests or even young families with strollers. Lights with motion sensors not only save energy, they also operate without the need to turn them on. Gone will be the days of tripping over objects in the dark searching for a switch! There are also many home automation devices coming on the market, making it easy to heat and cool your home and even enjoy different technologies all through voice command, or through your phone. As technology advances, think of ways you can incorporate new ideas into your home design that will be enjoyed by family members and guests for decades to come. Handy Man is the Kitchen and Bath Expert for Sioux Falls’s ‘Hood Magazine. Check out our article in the “Home” section of every issue of Hood Magazine. As you are finishing the floors and adding cabinetry to give your laundry room a makeover, you may be wondering if you should install a laundry sink. Gone are the days of the flimsy plastic tub with wobbly legs – now you can have a clean, bright laundry sink to put the finishing touch on your laundry room. Here are our top 6 reasons we love our laundry sinks. Mud. Some people choose to put a utility sink in the mudroom, so when someone walks in the house with muddy boots or flip flops covered in sand, they can be rinsed right as they walk in the door. Houseplants also need a place to be showered with a good watering and have the dust brushed off the leaves. The laundry sink is the perfect place to wash and drain the mess away. Pet Bathing. Pets do messy things, and when they need a bath, do you want to bring that mess into your bathroom tub? The large basin of a laundry sink makes it the perfect place to get your pets cleaned up before they track a mess around the house. Holidays. The extra large was basin provides a place to wash large pots and pans during the holidays. Even if your kitchen sink is large enough to wash your large roasting pan, share the workload with someone and get the chores done in half the time! Enjoy the time spent with family instead of spending your holiday doing the dishes. Cleaning. Dumping your messy mop water anywhere but the laundry sink turns into a huge mess. The large basin of a laundry sink helps contain any splashes, and you don’t need to worry about contaminating the bathtub, the toilet, the kitchen sink, or anywhere else. Paints and Dyes. Designating a place to wash paint brushes, dye hair, and do other messy crafts can spare you a lot of frustration in the future. Avoid the paint splattering around the kitchen by using your laundry sink instead! Laundry sinks are made for messy projects like these. Look for a sink where the front panel has a scrubbing section on the inside which helps ring out the last bit of paint in your brushes. Laundry. Laundry sinks are incredibly useful when it comes to taking care of delicate clothes or pre-soaking tough stains. Instead of hauling dirty laundry around the house, from the hamper in the bedroom – to the kitchen sink – to the laundry room, you can simply treat everything right next to the washing machine and toss it in. For those with space concerns, custom lids can be made for when it’s not in use, or simply place a small piece of particle board over the basin and use the extra space for folding laundry. If you don’t have a laundry sink, consider installing one – they could change your life!